Turina holds a Ph.D. in Educational Leadership and Policy Administration (ELPA) from the University of Wisconsin-Madison. In addition, she holds a Master of Science in Marketing and Organizational Theory, a BBA in Marketing with a Specialization in International Business, a BA in French Area Studies, and a certificate from the Faculte des Lettres in Aix en Provence, France. For nearly 15 years, Turina also served as color commentator for UW Women’s Hockey radio and television broadcasts and hosted a sports radio show on the BIG1070 and ESPN radio. 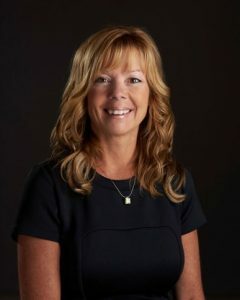 She currently holds board of director positions with the Madison College Foundation, Madison Area Sports Commission (MASC), Ady Advantage and the SouthCentral Wisconsin Workforce Development Board and the Wisconsin Center for the Advancement of Postsecondary Education (WISCAPE). She is a former Board member for TEMPO, an executive women’s leadership group, and Executive Women’s Golf Association (EWGA). Turina is an avid golfer, Badger and Wolfpack fan, and is game to travel anywhere in the world. Kristin received her formal education from the University of Wisconsin – Madison, earning a B.S. and M.S. degree in Rehabilitation Psychology and Counseling. Prior to her current role, Kristin worked for M&I Bank/Bank of Montreal, as a Vice President of Business and Community Development, Business Banker and Private Banker. She also worked in the golf and private club industry and in her field of study, for Chiron and National Healthcare Resources. Kristin is passionate about people, relationships and learning. She previously served on the Boards of: The Rotary Club of Madison, The Madison Club, Friends of the UW – Waisman Center, TEMPO Madison, EWGA – Madison, and the City of Madison’s Personnel Board. She also served on the United Way of Dane County’s Campaign Cabinet and is a former Chair of United Way Women’s Leadership. Kristin is currently the President of the Cherrywood Acres Homeowner’s Association, and is a volunteer at her daughters’ school. Kimila is responsible for building and leading the full scope of Unity’s human resource and organizational effectiveness strategy. She leads HR programs, including, but not limited to, talent development, succession planning, compensation and benefits, diversity and inclusion, employee communication and performance management. Kimila also leads Facilities Management, Business Continuity and Incident Response planning and emergency preparedness. She is a strategic change agent with over 19 years of Human Resources and Organizational Development experience in higher education, insurance and entertainment industries. Kimila holds a BS in Organizational Leadership from Greenville College and a MS in Management and Organizational Development from Benedictine University in Lisle, Illinois. She has a Senior Professional in Human Resources (SPHR) certification through the Society for Human Resource Management, is a certified change management practitioner through Prosci and a certified life coach. Kimila is involved in the community and serves on the Board of Directors of the Boys and Girls Club and YWCA. 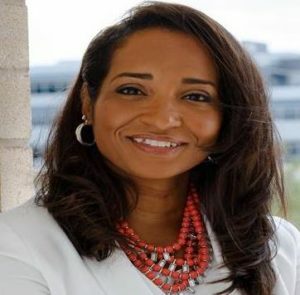 Kimila is a member of the Madison Area Diversity Roundtable, United Way Women’s Leadership Council and Madison Network of Black Professionals. Joyce Dieter is an Independent Consultant and Executive Regional Vice President with Arbonne International and is on a mission to empower those who want to do more and be more to create choices for themselves and their families so they can live their best life and a life without regrets. She has been advocating for health and wellness and partnering with individuals on how to achieve time and money freedom with Arbonne for a little over four years. Prior to Arbonne, she was a full-time corporate professional (project manager) in the insurance and healthcare industries. 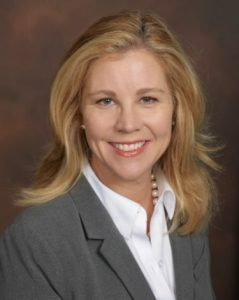 Joyce received her Bachelors of Science in Industrial Engineering from the University of Illinois at Urbana-Champaign, and also has an MBA from the Terry College of Business at the University of Georgia at Athens. She obtained her PMP certification from PMI in 2001. Joyce currently serves on the Board of Directors for the YWCA in Madison, WI. She is a busy mom of three boys and resides just outside of Madison in Oregon, WI. Her hobbies include yoga, running and living life on purpose! Mary Gaffney-Ward has spent most of her career in marketing in one form or another from enticing people to travel or buying new products in the market, to participating in group exercises or joining a private club. Mary grew up in Milwaukee and enrolled in UW Madison where she developed her passion for writing and marketing. After graduating with a degree in Journalism, Mary explored every nook of Wisconsin as an Assistant Editor for a local magazine. Several years later Mary had the opportunity to delve more into the marketing side when she joined one of the first cellular phone agencies in the state. As cellular technology boomed, she saw cellular phones go down in size and watched her family increase in size with the birth of her son and daughter. For the next six years, Mary’s focus shifted a bit when she began teaching family educational classes at Meriter Hospital which eventually led her to expanding the pregnancy exercise program at UW Sports Medicine. Always having a passion for exercise, Mary continued her certifications and taught several different exercise classes a week until she decided to go back into the workforce fulltime. In 2003, Mary took on the Marketing and Membership Director role for the Madison Club. After the birth of her third child, Mary expanded her role to the Assistant General Manager and eventually took over as the General Manager. When she began her journey at the Club 15 years ago, membership was at an all-time low. Next year the Club will celebrate its 110th anniversary and is going stronger than ever. Mary is also in involved in several local civic and social organizations, and serves on the Club Managers Association board where she focuses on increasing educational opportunities in the hospitality and marketing industry. 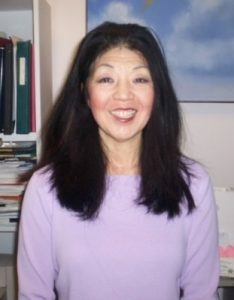 Sharyl Kato, MS, LPC, is the Director and a Child/Adult & Family Therapist with the Rainbow Project Child & Family Counseling and Resource Clinic and UW Madison School of Medicine and Public Health, Clinical Adjunct Professor with the Dept. of Psychiatry. Sharyl specializes in areas of prevention, early intervention, crisis support and treatment of childhood/family trauma, including child abuse, neglect, domestic violence, child sexual abuse, community violence, grief/loss, and natural disasters. She also has a special interest in strengthening resiliency for child-adult caregiver and family relationships, parent education, cultural competency, play therapy, social emotional development, and helping children/adults manage stress. Sharyl is active in community networking & interagency coordination, to maximize effectiveness of services and coordinate resources for children and families. She also serves as chair of the Children, Youth and Families Consortium, Child Abuse and Neglect Coordinated Response Task Force, is a member of the Children’s Mental Health Collaborative (coordinating community mental health services in the schools), and has served as a member and chair of the Dane County Commission on Sensitive Crimes as well as the Domestic Violence Task Force and Governors Council on Domestic Violence. 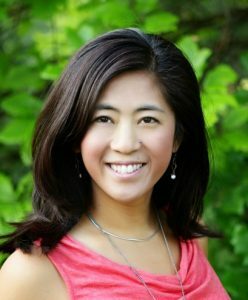 Additionally, she is involved with Wisconsin Organization for Asian Americans, Women in Focus, Downtown Madison Rotary Board of Directors, Wisconsin Women of Color Network, TEMPO and the Greater Madison Vision Planning Commission. 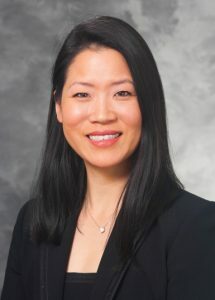 Michelle is a Director of Development at the University of Wisconsin Foundation where she serves as major gift officer for the UW Department of Surgery. Her primary focus is working with surgeons and grateful patients to support academic efforts. 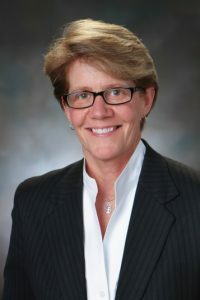 Previously, she served in the Department of Surgery as Coordinator of Development and Alumni Relations where she managed gift stewardship, including donor recognition programs and creating a giving society, as well as managing alumni communication and designing fundraising programs and patient engagement programs. Michelle earned a BS in Biology from UW-Madison. She had been an active member of the American Family Children’s Hospital Development Partners Advisory Board and the Friends of UW Health for nearly 10 years, where she served as Board President.